As simple as this sounds you want to have your head on a swivel at all times ESPECIALLY when you are going out on the track. Be incredibly mindful of where people are in relation to you at all times. Darting out without looking can end things before they even begin. Adrenaline is pumping at the race track and things can happen in the blink of an eye. 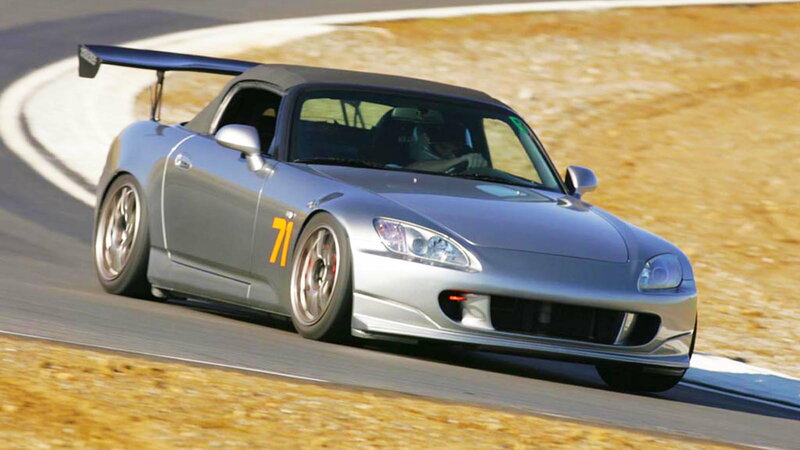 You drove your car all the way to the track…you'll want to drive it home the same way. PRO TIP: Study pit exits and getting up to speed quickly. 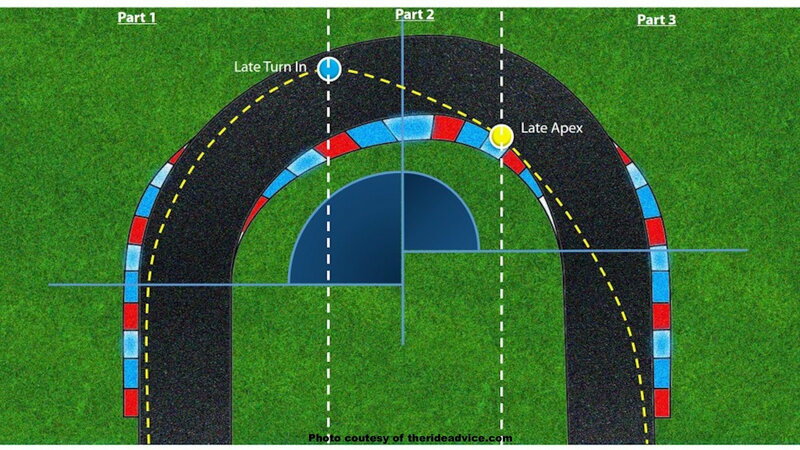 Every track is different so you want to position yourself off the line where you will minimize obstruction to others. It’s common courtesy and a good habit to get into early on. >>Join the conversation about Entry Level Driving Technique right here in the S2ki Forum! The line you take through a corner determines everything from the attitude of the car to your perception of how the car handles. The standard line starts from the outside of a corner, coming to the inside (the apex) and tracking out again to the outside. In the photo above we see three different cars all following the line. It should be noted that the line can change depending on a number of factors, but for now think of it in the simplest way possible. PRO TIP: The line isn’t necessarily going to be the same in every corner. Different turns require different techniques. Let's look at a few types of corners. Early apex corners are used on corners with increasing radii. These types of corners permit you to get on the throttle early and turn in sooner than you might think. 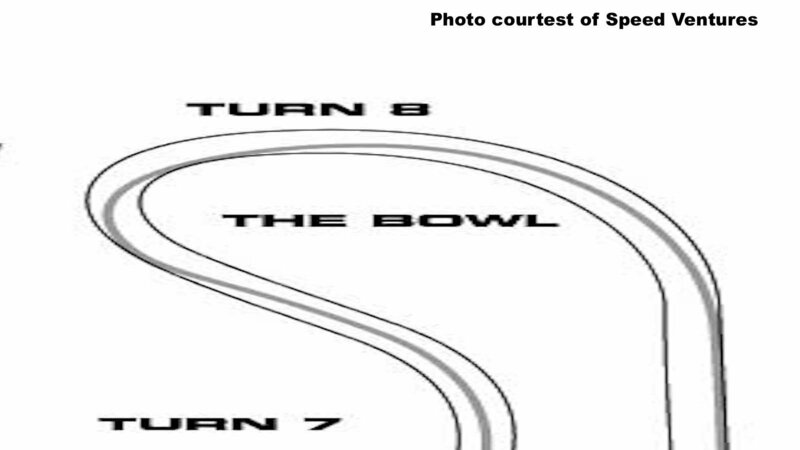 You can be a little more aggressive in these types of turns and can take more liberties with the throttle. They start out tight and then open up. PRO TIP: Work on getting to the power earlier and earlier in an increasing radius corner and begin to decrease your steering angle the same way. These will catch you out and require a lot of “fortitude” in the trouser department. They tighten up as you go through them. When a car is cornering at high speed it becomes increasingly sensitive to weight transfer. If you lift abruptly or brake you may feel the back end of the car step out or oversteer (think Ken Block videos). This can get you into serious trouble really fast if you’re not careful so you want to approach with caution. Get your braking done in as straight of a line as possible and slow down smoothly before turning in. PRO TIP: Focus on holding consistent speed and steer the car as you turn in. You want to be really smooth in these types of corners so you don’t upset the car. A lot of tracks have brake markers on the side of the course. You’re going to want to start braking early and then move the braking point back gradually. Braking too deep can be a big challenge and it’s an area that a lot of guys struggle with. Most people brake too early and too hard but don’t dive into too deep. Locking up a wheel can end your day in a matter of seconds. Pick a point on the side of the road and get comfortable. Once you know the car will slow down start to move the point back 3 feet at a time until you feel the car starting to move around. 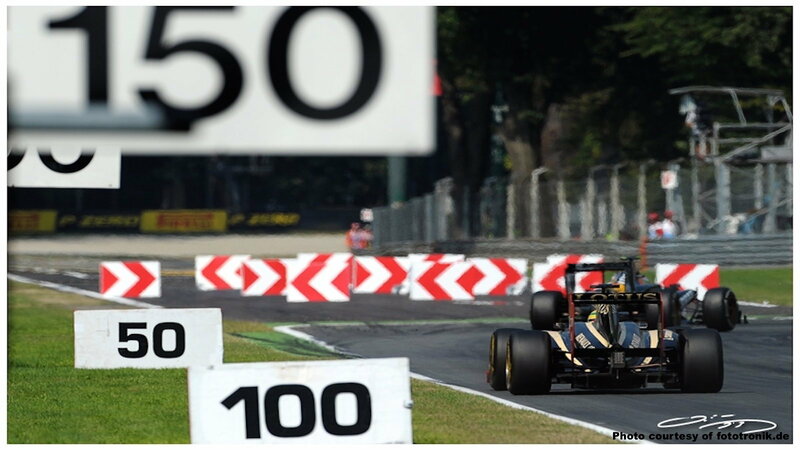 This is when you're getting close to the limit. PRO TIP: Every car has a different brake system and capability. Every driver is a different level. Don’t try to emulate what you see someone else doing. Learn at your own pace to gain confidence. This is a big one. You want to look ahead at all times. Look at where the car is going to be as opposed to where you are at that moment on the track. This is a great technique to slow down your brain and help you process things faster. Looking down a few feet in front of you causes everything to feel like it’s happening faster. It can also make you sick so keep your eyes up. Those braking markers we talked about earlier should not be stared at. Use your peripheral vision to spot them and be consistent. This will also give you a better ability to focus on other things like how the car feels or who is about to exit pit lane without paying attention. PRO TIP: Master this. It is one of the most fundamental parts of driving and building blocks like figuring out the line. These tips are what you should focus on the first time on a track. 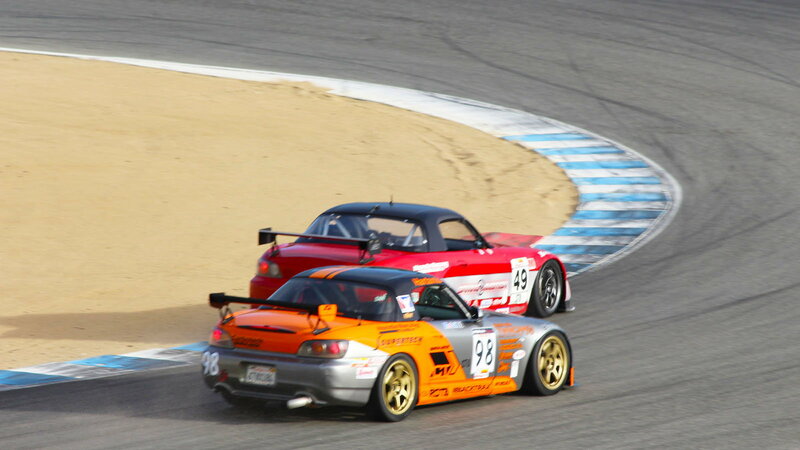 Forget all about horsepower, torque, and coilovers and focus only on the driving line and nailing your braking zones.